The Mizuno MP T-10 series of wedges combines Grain-Flow Forging with a Tour style head and sole, providing more precision to your short game. Soft, solid feel and consistency are created through the forging of the 1025E Pure Select mild carbon steel, while the Quad Cut Groove technology provides maximum spin and control. The 360 grind top line and sole provide versatility and shot-making ability. 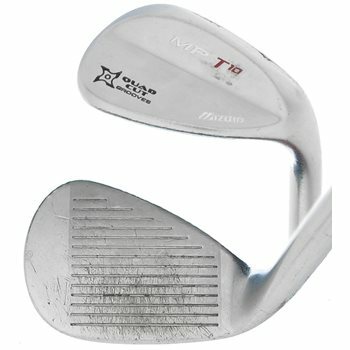 The White Satin finish gives this wedge maximum durability with a classic appearance.